Homborsund lighthouse was established in 1879 and belongs to the first generation of concrete lighthouses in Norway. The keeper and his family lived in the main building. When the diaphone fog-horn was installed in 1951, a new dwelling for the two assistants and their families was erected. The station was automated and de-manned in 1992. The station is owned by the government and protected as a national monument under the Cultural Heritage Act. Kystverket is cooperating with local interests to facilitate alternative use of the premises. The characteristic silhouette of “Homborsunds Fall” is well known to mariners. Homborsund and Homborøya also appear as a “nose” or headland coming up by the coast from south-west. Homborsund is therefore a well-known point of reference on the coast. Before the lighthouse was built, a windmill at Homborøy, 8 meters high, served as a day-mark. A copy of it stood until 1911 when it was struck by lightning. 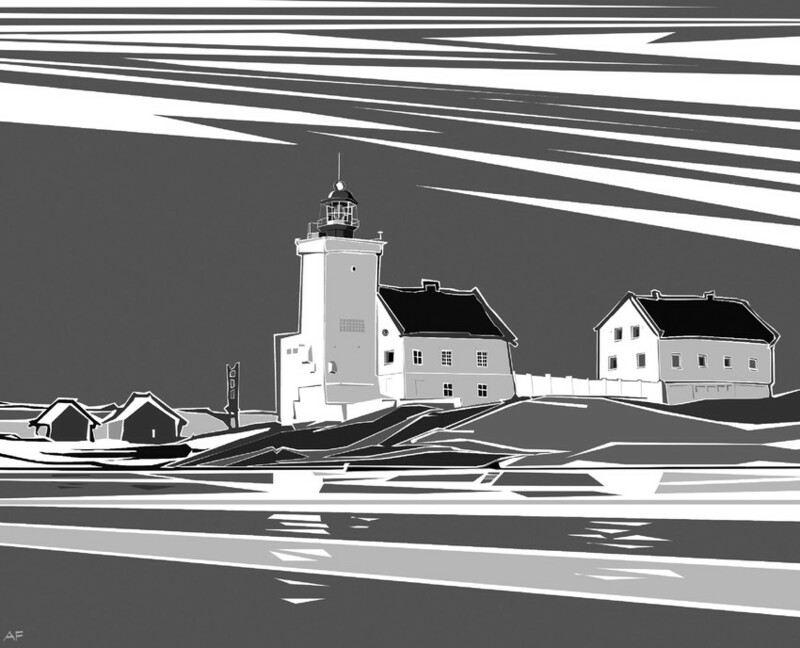 Homborsund lighthouse is a coastal light that shall give the mariners a safe landfall in the waters between Lillesand and Grimstad.